Garnet Liberty’s pedigree contains the Red Line (Oxenholm Gideon, Macdara, Connemara Boy) and the Blue Line (Corrib Park Kelly, Carna Bobby, Cannon Ball). He also has the Purple Line (Finney Master, Carna Dun) and the Orange Line (Clonkeehan Auratum SOD) through Rory Ruadh, who appears in the third generation of his pedigree. 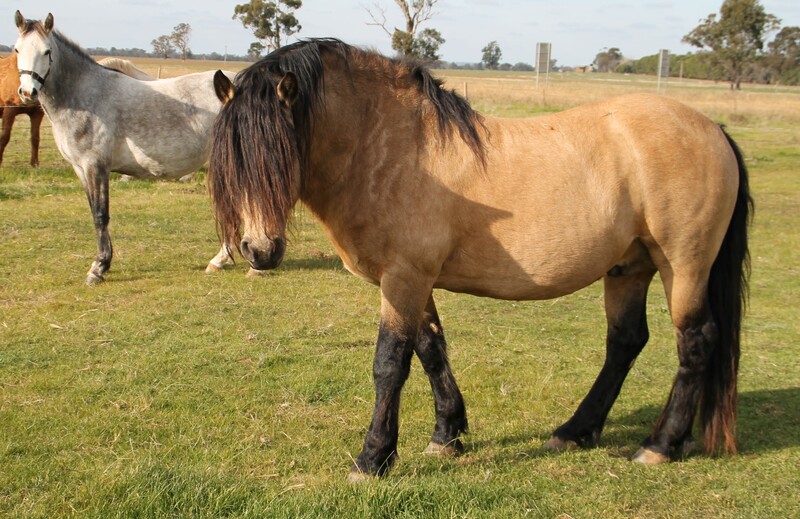 He has plenty of charisma with his golden eyes and thick black mane. He passes his charisma and his calm attitude onto his offspring. We were extremely happy to have the opportunity to purchase Garnet Liberty from Garnet Stud as a 4 year old stallion. He arrived at Dylanglen Stud in 2005 and has bred some beautiful offspring during his time here. We have had the bloodlines from Oxenholm Gideon in our stud in the past and hence jumped on the chance to purchase a stallion by Glenormiston Thady (sire Oxenholm Gideon IMP). For this we are truly grateful. 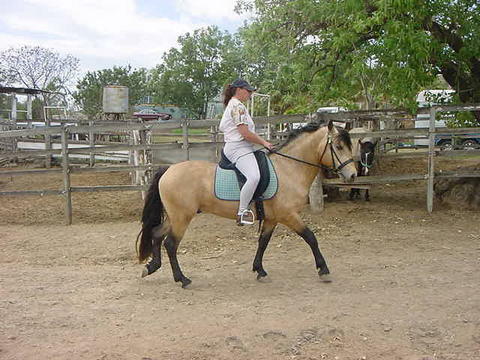 Liberty has sired a black and a buckskin Connemara mare and is also the sire of a bay and a buckskin part-bred mare. 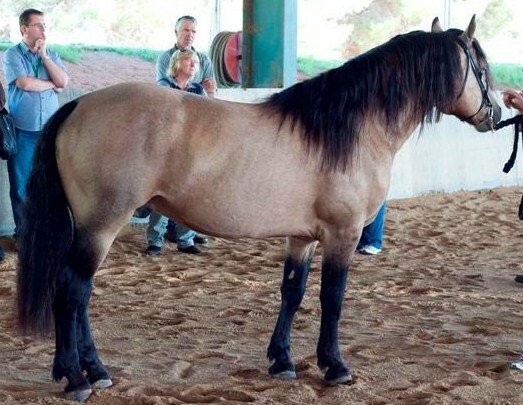 Garnet Liberty is registered as a Class One Connemara Stallion with the CPBSA. 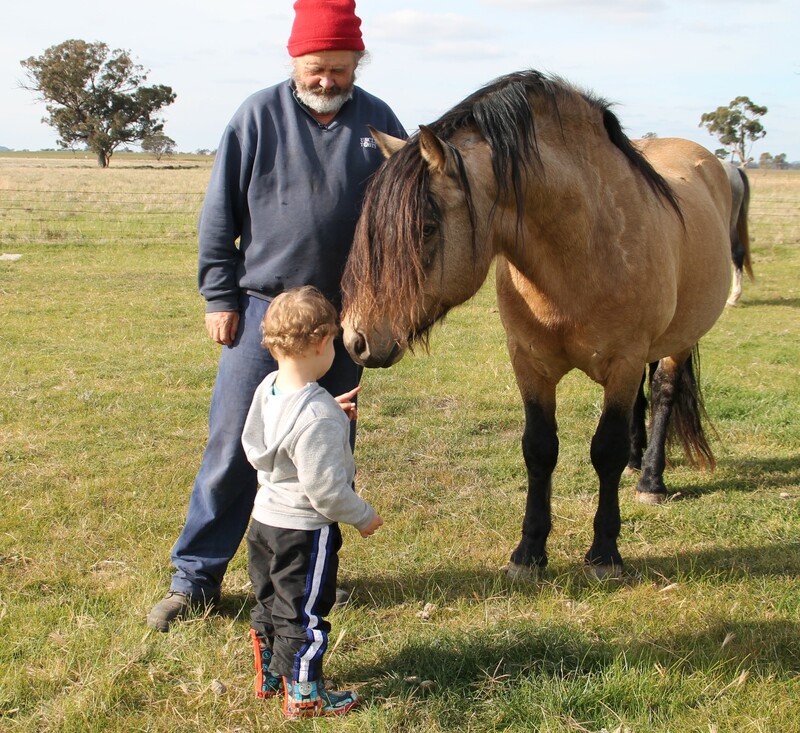 He is also APSB registered and registered with the Australian Dilutes Society. Liberty has a rather cheeky character about him which complements his charisma quite nicely. 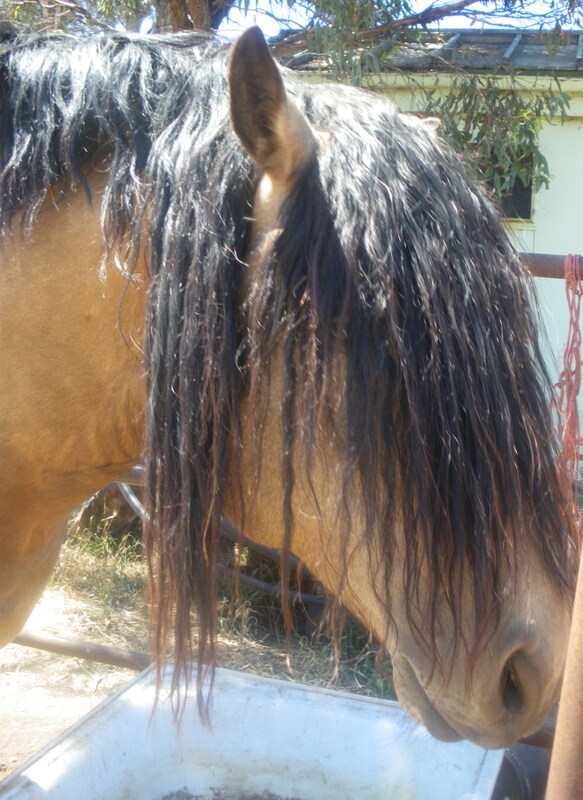 He is also a very handsome (and macho) man with his thick black mane & golden eyes. He has very good conformation with solid bone. He is easy to handle and show and behaves himself well. He also loves to show off like a good stallion should. 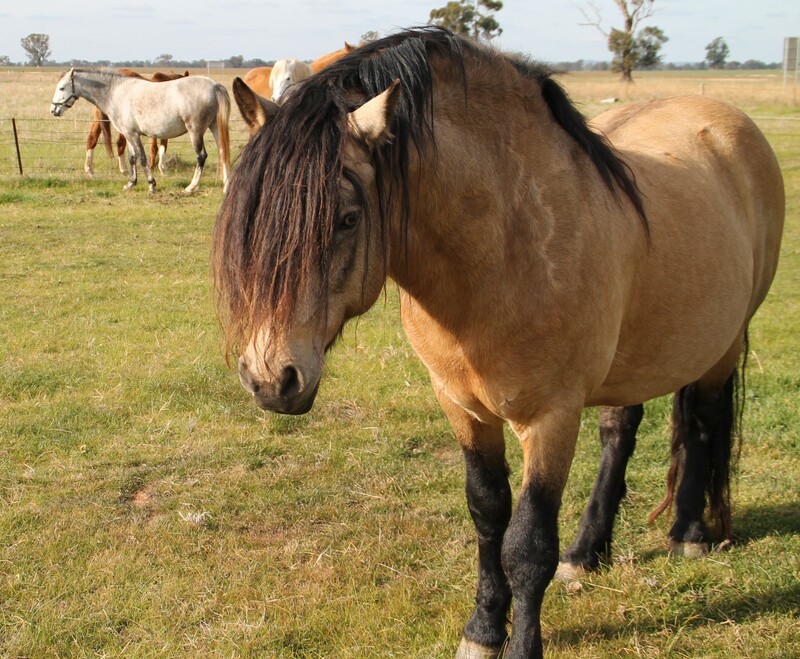 Liberty loves to go out to competition and is all over you for attention when you come to visit him in his paddock. 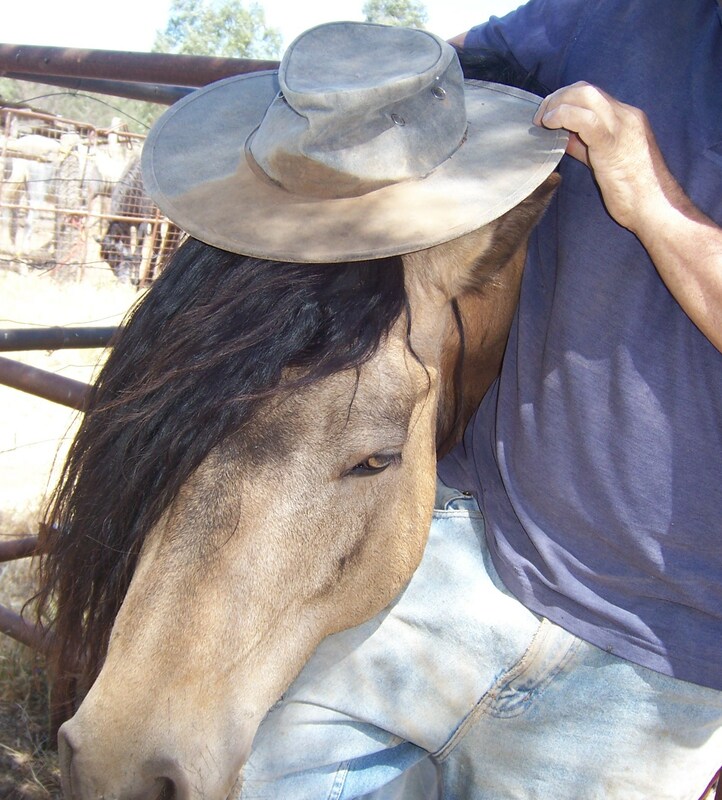 Broken-in at Garnet Stud, even through he is not ridden very often, you can still throw the saddle on him anytime you like and go for a ride. 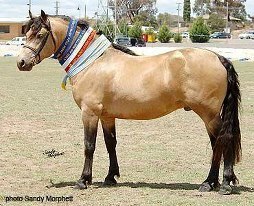 Garnet Liberty has won Champion Connemara at Henty Show, Champion Mountain & Moreland at Walbundrie Show and Champion Connemara at Holbrook Show. 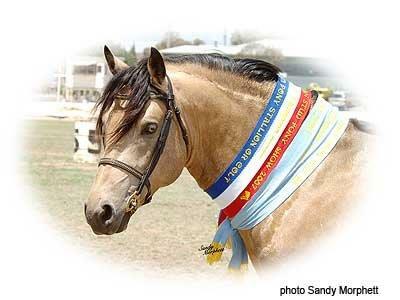 We have also shown him at the VIC APSB Stud Pony Show in 2007 where he won Supreme Connemara Exhibit. 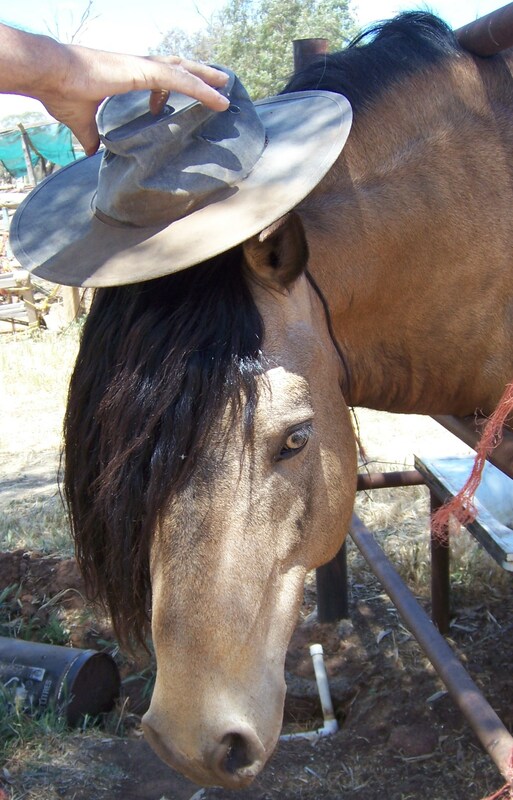 He handles the stable requirements with ease, just as Dylanglen Shamrock does. 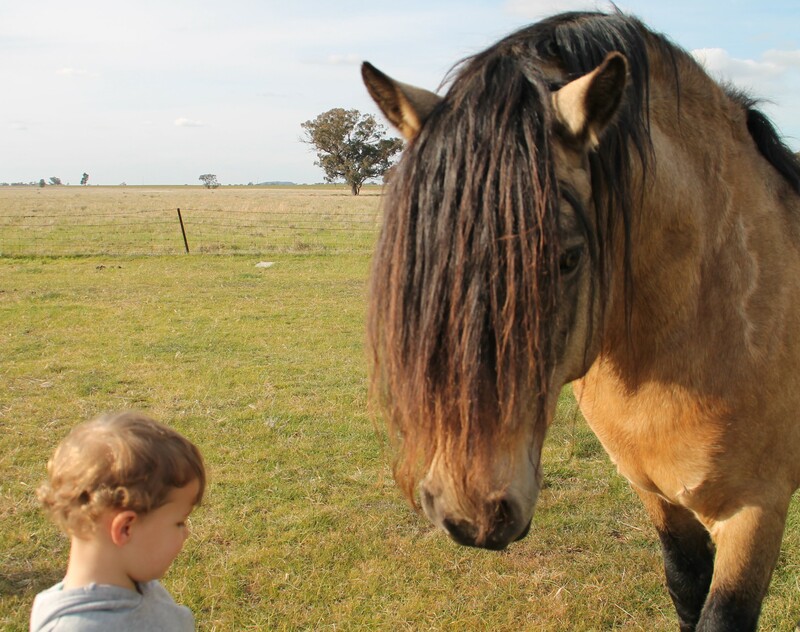 Our stallions have great temperaments. There is only one instance of Abbeyleix Finbar in Liberty’s pedigree. There is also only one instance of Oxenholm Gideon as well. 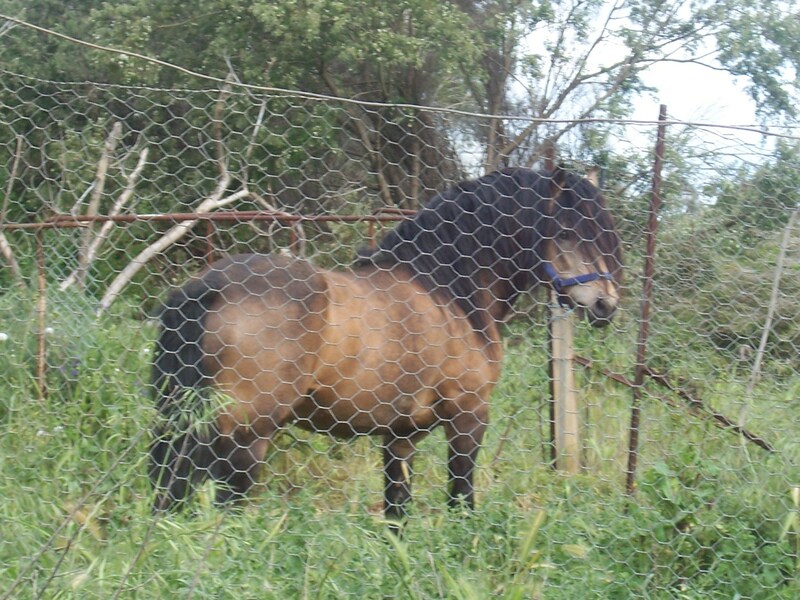 Castle Baron and Domo Cavallo Praize do not appear in Liberty’s pedigree at all.